It was one of those days when nothing wants to go right. Souvik went to work, and I had a easy morning with a late breakfast, still digesting that enormous roast dinner at Jamie’s the night before. The forecast was cold and wet, and I thought, perfect for walking off all the big meals. 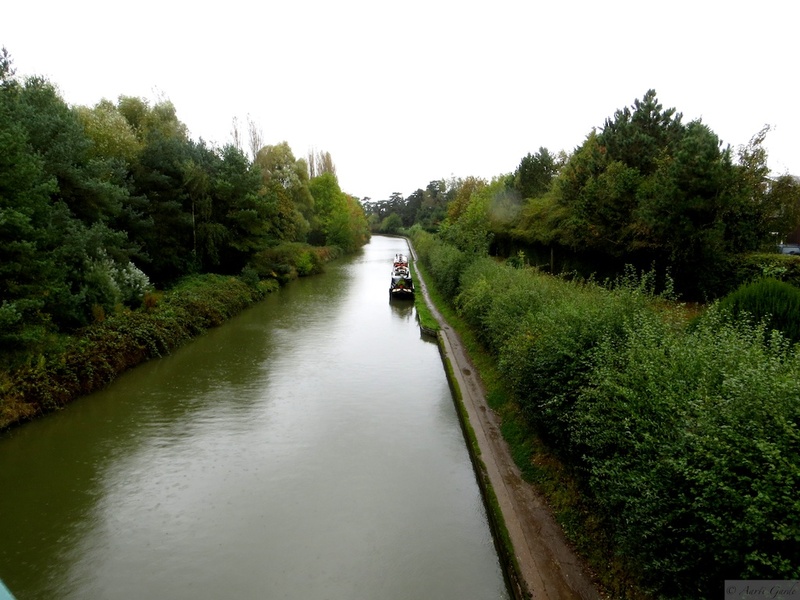 The walk was very pleasant, not raining when I started off, but the drizzle started soon after, just as I stopped for a photo on the bridge. A short brisk walk later I was in the town centre, and walked up to the Collegiate Church of St. Mary. As I settled down to take some photos, I had the scary realisation that my purse was no longer around my neck. Exercising extreme self-control to not curse inside the church, I frantically texted Souvik, and dashed out to retrace my path. I was quite sure it would have fallen off on the bridge above, when I stopped to wear the rain poncho. Right near the hotel, so I would have to walk back all the way. Didn’t notice the rain and almost ignored the traffic, trying to get the internet connection on my mobile phone to look for Inna Aji’s mantra for recovering lost things. Couldn’t find the mantra, so repeated “Inna Aji’s mantra” over and over again! In the meantime, Jamie and Souvik had swung into action and started off to pick me up. We drove to the bridge, and voila! There was the purse in the exact same spot where I’d dropped it. I thanked the Lord, and the weather gods, and Inna Aji’s mantra, and we picked up Denise to have a quick lunch at the Rose and Garden. After lunch, it was back to St. Mary’s Church to begin my tour. This church dates back to 1123, but was later rebuilt by Thomas Beauchamp. There were further additions, and a restoration after the church was mostly destroyed in a fire, but the crypt from the original structure is still persevered. There was no more complaining about the weather; I was determined to walk everywhere. 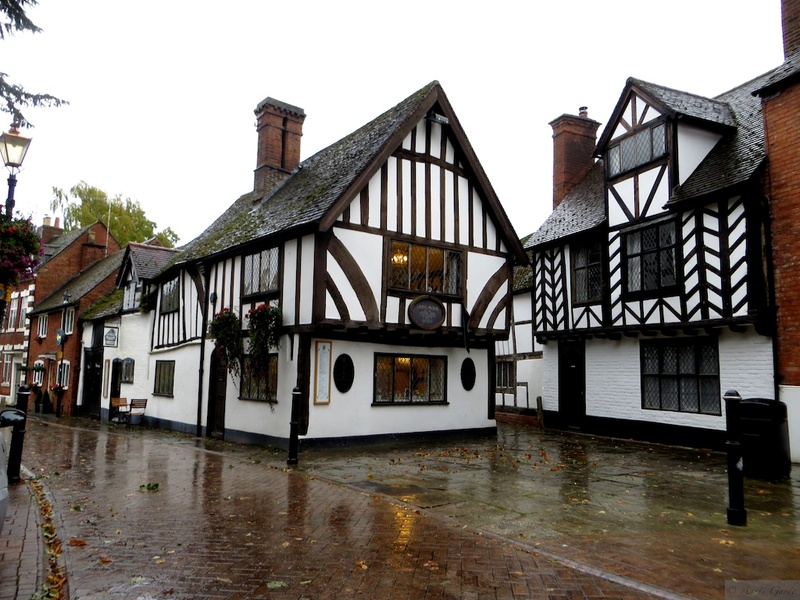 The Warwick Museum was closed, as was the Lord Leycester Hospital (it being Monday). 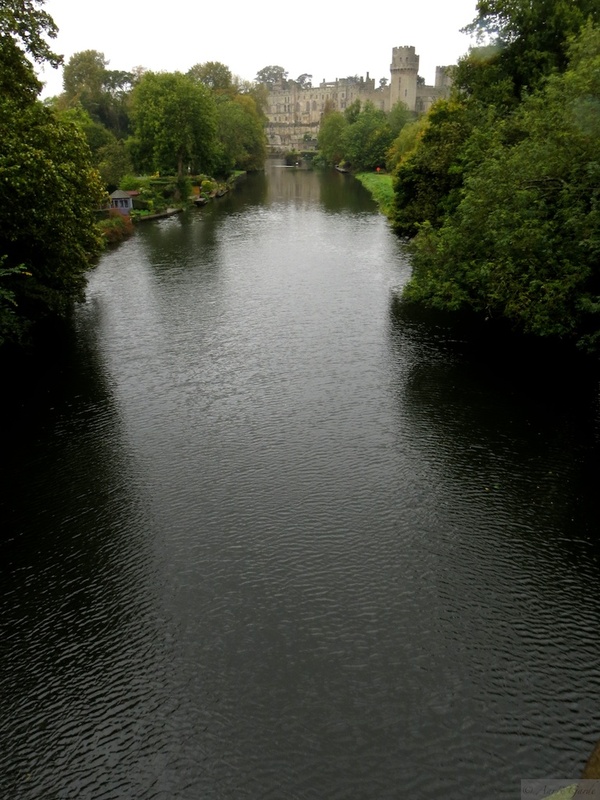 I walked on to the St. Nicholas Park, only for a sighting of Warwick Castle from the bridge. Took a chance walking down Mill Street but the Mill Garden was closed too, because of the weather, I think. 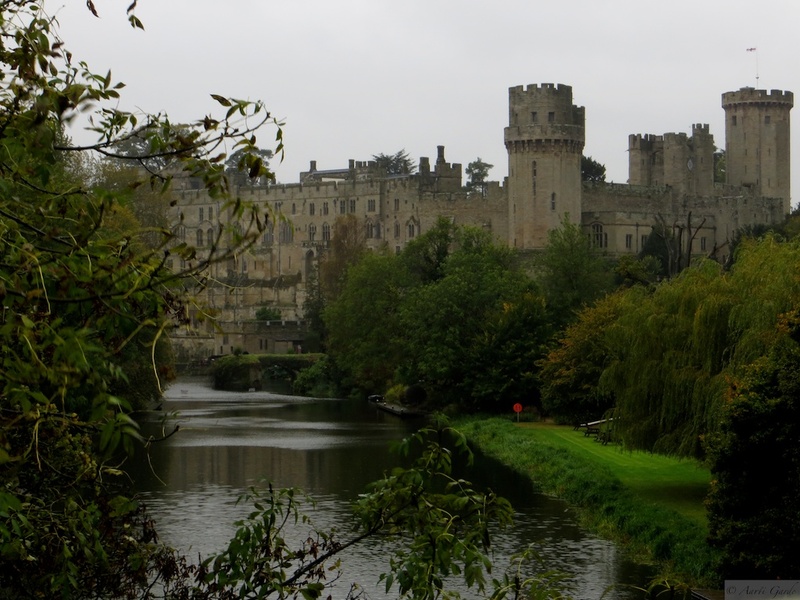 More great views of the castle from here, and some sneaky pictures of the garden from the fence. A short foray into Smith Street, but now I was looking for someplace warm, and so headed back to the Thomas Oken Tea Rooms. My phone battery had died a while back, and there was no way to contact Souvik. 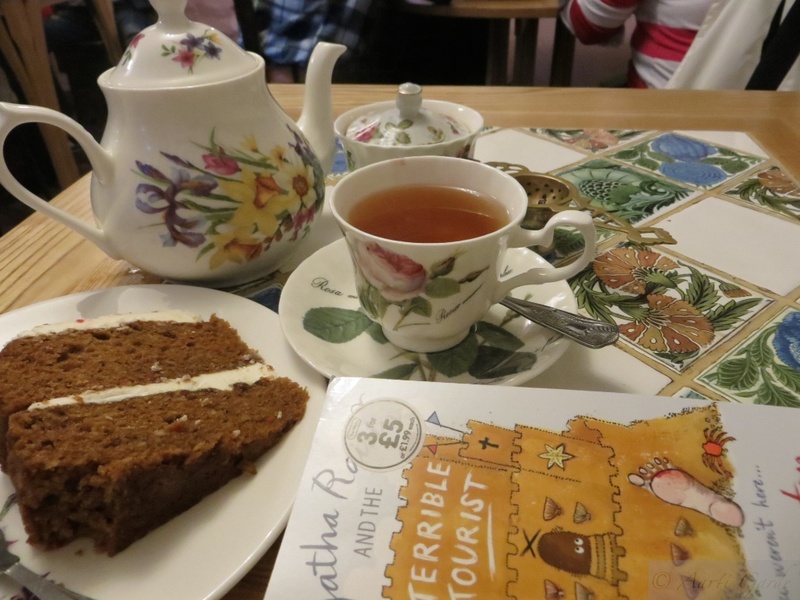 I was chilled to the bone, but entering the Tea Room, I was charmed by the decor, and warmed by the hospitality, which included an iPhone charger to bring alive my phone. Souvik caught up with me a couple of hours later. Having spent all day indoors, except for the lunch drive, he couldn’t tolerate the cold and rain, so we settled for dinner at the hotel. I had risotto, Souvik his weekly quota of Chicken Makhani. Whoa, what a day!